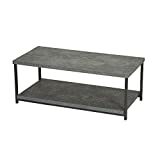 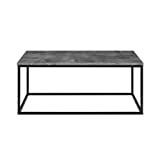 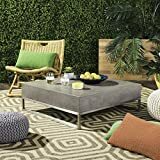 This cool new, streamlined Element Grey Concrete Coffee Table can be used indoors or out of doors. 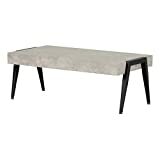 Made from an aggregate of marble, granite, stone and natural fibers, the table features a warm, natural, raw finish. 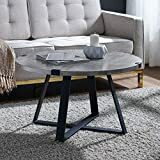 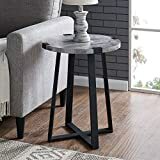 Measuring a full 5-feet wide, the sturdy table will add a strong, grounding, geometric look to any room or patio and would look stunning with a splash of color like a simple glass vase and vibrant flowers.